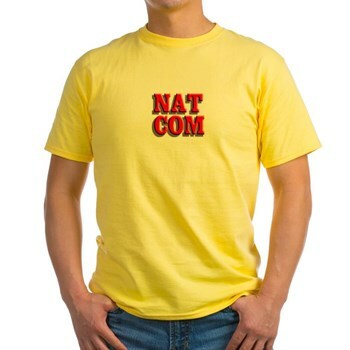 All you need to read NatCom online is a computer, tablet or e-reader of some sort. If you experience difficulty logging in to the login page, please send an email and include your first name, last name and your user name. 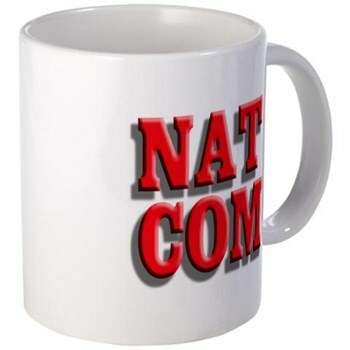 Get your official NatCom coffee mugs, T-shirts, stickers and more! Click here! America's Hobby Radio Magazine -- The No. 1 and only scanning, CB and two-way radio magazine online! From issues gone by, here is a photo of Gene Hughes of Police Call (which was last printed in 2005) and National Communications emeritus editor Norm Schrein at the first annual National Scanning Convention. The convention was held in Lancaster PA in July 1995. The photo caption read "Gene Hughes receives recognition for his years of service to the radio hobby community. 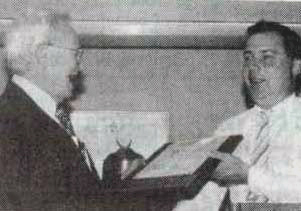 Norm Schrein awards him a plaque from NatScan." This photo appeared in the September | October 1995 issue of National Scanning Magazine, which evolved into National Communications Magazine. National Communications Magazine is the magazine for every hobby radio user. Anyone who has bought a scanner or CB for the first time to the radio pro will find this magazine packed full of useful information. We have stories for the novice on how to program that first scanner to the electronic technician who wants to modify his scanner or CB. National Communications Magazine is produced by the industry's leading writers. Names like scanning and CB expert Mark Haverstock, communications special assignment writer Roger Dumont Jr. and longtime hobby communications guru Chuck Gysi all contribute to make this the No. 1 magazine for the radio crowd. Top-notch editing ensures NatCom readers have the best material and the latest information for the radio hobby. Best of all we're 100 percent hobby radio communications. It's radio at its most exciting: police, fire and emergency medical and some of the best two-way and CB radio anywhere. This is why we're America's Hobby Radio Magazine! NOTE: The SPRING May | June 2019 issue is expected to be posted online no later than May 6, 2019. NOTE: The FCC's new Part 95 rules went into effect Sept. 28, 2017. This means more power and channels for FRS radios and the elimination of rules prohibiting skip communications on CB. More info here: CB FAQ and FRS and GMRS channels. Got a story idea for NatCom Magazine? We'd love to hear it. Email us and tell us about it. We're sorry but your browser does not support this video format. "LIKE" us on  Facebook or "FOLLOW" us on  Twitter!